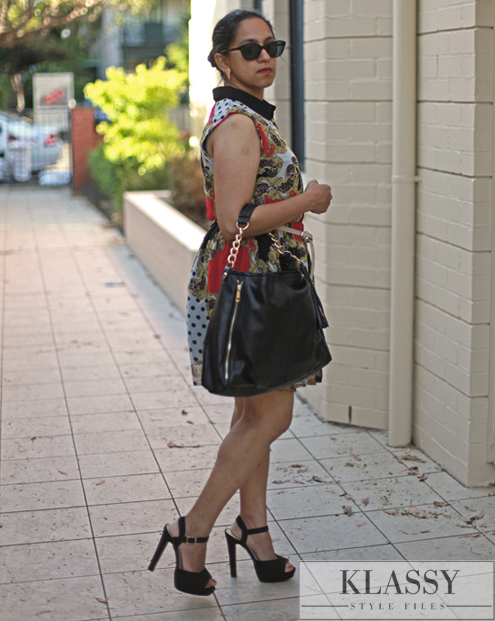 If you’ve been following along, you probably saw the feature on my Summer dress picks and the pattern play dress was the most unique pick. So that’s the one I’ve chosen to display for you first. 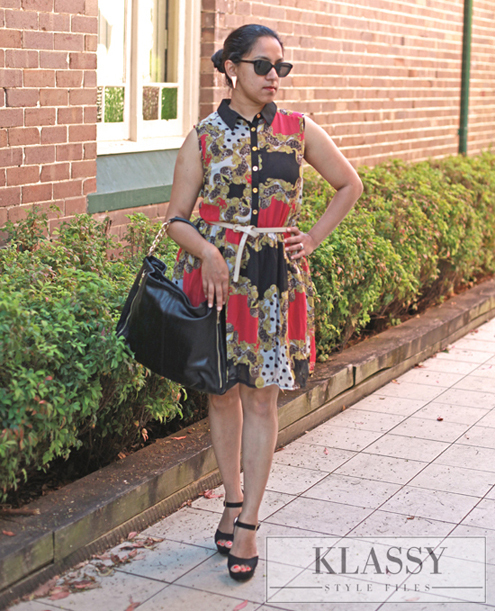 This season a dramatic mix of prints has been quite trendy. It can get a bit tricky to style though. I followed an easy rule to work this look with black accessories, a hint of gold adds that extra edge and a touch of understated glamour! As you can see I’m clearly not consistent with the logo! Well, that’s because I’ve been playing around a bit and trying out this new one on fresh edits:-) What do you think? 1. The key lies in downplaying the accessories. 2. I swapped the original black belt that came with the dress for this off white one and clearly it lifts the outfit and makes it look posh! 3. When you want that glamorous edge, red lips and red nails never fail and a bit of gold doesn’t hurt either. 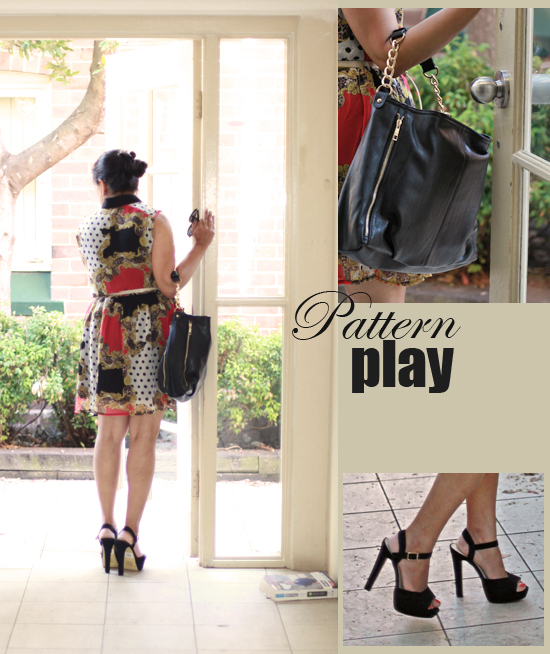 Would you get bold and flaunt the ‘pattern play’? But of course i would flaunt it. Especially after this post. I love ur heels, n u look so posh.